Mahmoud Moussa is a lecturer at the International Business Management Program (IBM), Faculty of Business Administration and Liberal Arts in Rajamangala University of Technology Lanna (RMUTL), ChiangMai, Thailand. He is also a member of the editorial board at Emerald Emerging Markets Case Studies (EEMCS) Journal, Emerald Group Publishing. He comes from Egypt, and has been working and studying in Thailand for the last eight years. He holds a B.A from Helwan University (majoring in Arts of Philosophy) Cairo, Egypt, a M.A. in the International Graduate Studies Programs from Burapha University, Chonburi, Thailand (majoring in Human Resources Development). He has conducted researches and published extensively on human-computer interaction, attitudes and perceptions of interactions within organizations, cross-cultural management, HRD, and HRM. His current research interest involves education trends in the ASEAN countries in the AEC era. The sea of information about different cultures is insufficient to make people more effective, efficient, and motivated in their intercultural workplace. Management practices have to be integrated with cultural diversity to avoid barriers experienced by competing cultures. This book builds on the insights, experiences, visions, and research of many people. Apparently, it is not always easy to understand and appreciate the actions of people from diverse cultural backgrounds. 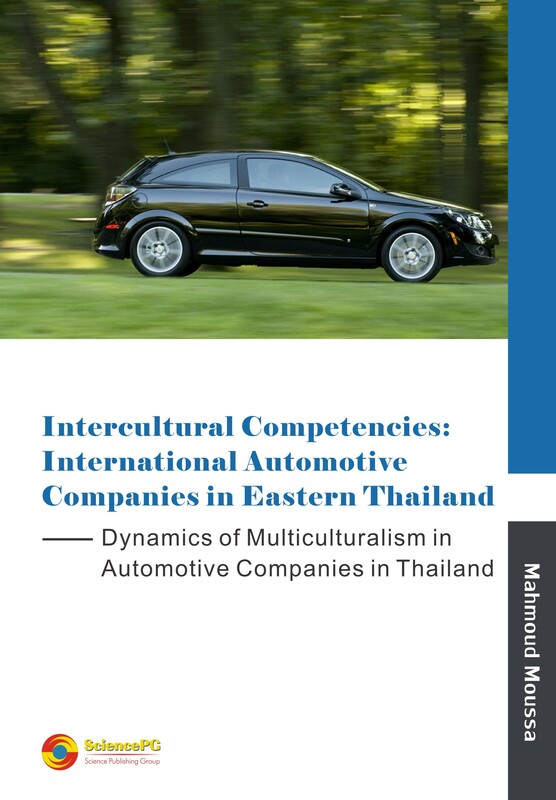 Hence, this book is designed to identify the competencies required for managers of intercultural consultancy services to optimize the effects of cultural diversity in Thai automotive companies; to investigate ways that allow diversity to work effectively; and to recognize barriers confronted by different cultures in international corporations. This book may be used in cross-cultural management courses for both graduate and undergraduate students. This book may also help in providing general knowledge to those who work or manage diversity in the workplace, with the aim of turning diversity into a competitive advantage.